Update: Our location has changed. Come find us on King Street next to Market Square. In 1975, at Millhaven Institution, prisoners inside refused food and work to protest their conditions, and to commemorate those who have died at the hands of the prison system. 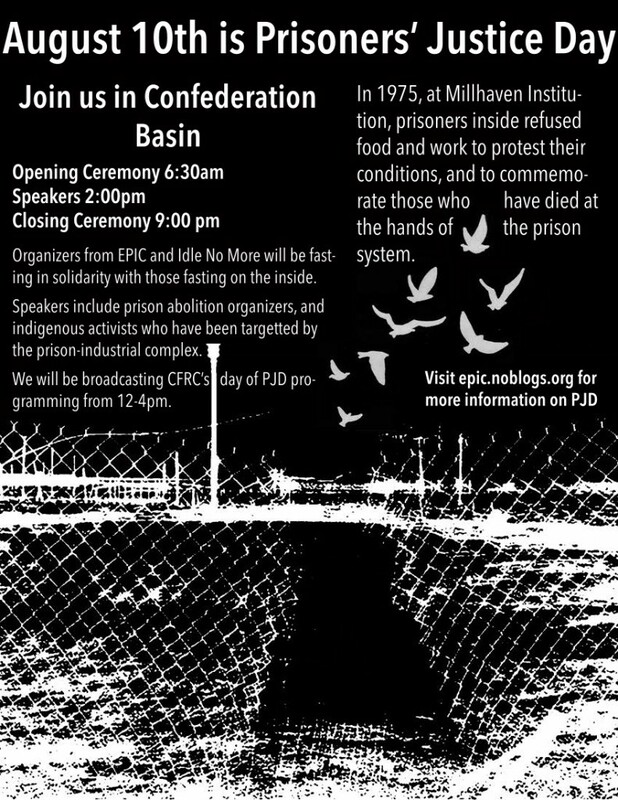 Organizers from End the Prison Industrial Complex and Idle No More will be fasting in solidarity with those fasting and striking inside. Speakers will include prison abolition organizers and indigenous activists targeted by the prison-industrial complex . We will also be broadcasting CFRC 101.9 FM’s PJD programming from 12-4pm. August 10th is a day to remember all the men and women who have died unnatural deaths inside Canadian prisons. In 2010, prisoners at Joyceville Institution wore shirts with an upside-down maple leaf in observance of Prisoners Justice Day. The federal government reacted by banning PJD activities across Canada. Despite the ban, prisoners continue to find creative ways to mark the day. 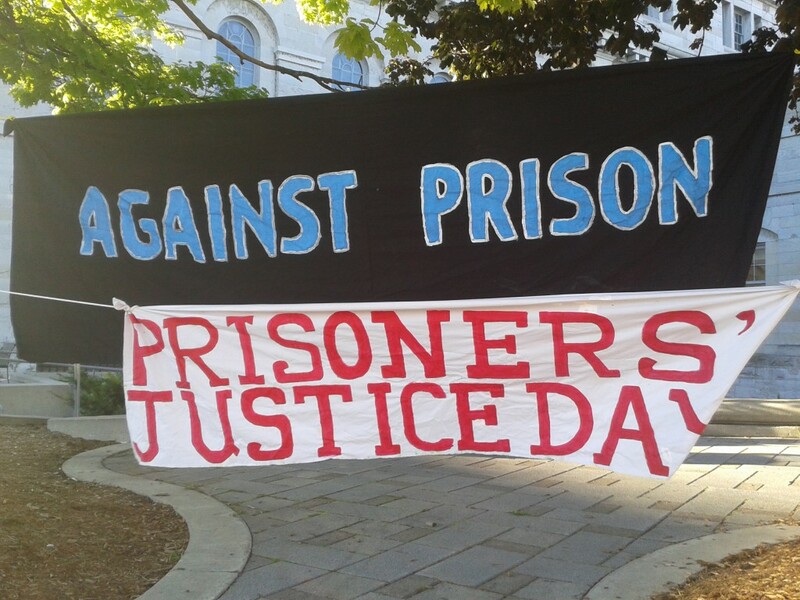 This year, prisoners at Collins Bay Institution in Kingston will be wearing black squares inspired by the Quebec student strike. We are wearing black squares on the outside to show solidarity with prisoners struggles. This entry was posted in Events, Local Prisoners, PJD. Bookmark the permalink.